Since his teenage years, Schucry Kafie enjoyed creating and undertaking feats. He is a passionate man who enjoys businesses and to create new ventures enjoying every day with new ideas and projects. After returning from college, he opened his first company in 1974: New Mark Representaciones S. R. L., which represented domestic and international companies. The experience he gained from representing multiple companies and the work culture that his father instilled in him were the keys to expand his vision in new opportunities in the business world. Schucry was able to identify business problems and market demands therefore being able to create companies that provided solutions to those issues which eventually fostered a culture of service development in the region. Such is the case of Luz y Fuerza de San Lorenzo, S.A. (LUFUSSA), founded as an electric company that met the country’s energy demand as well as a solution to the 90’s blackouts. In 1988, Schucry Kafie creates Lacthosa, a company that marketed brands such as Curacao Trading Company (Ceteco milk powder) and The Quaker Oats Company (Quaker Oats). 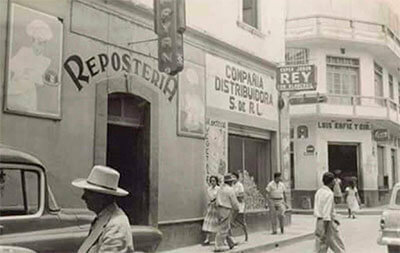 In 1992, Lacthosa purchased Sula in San Pedro Sula and then the Dairy Plant Honduras (PLAHSA) in Tegucigalpa. Thus, begins writing one of the most successful stories of the agro-industrial development and business innovation in the country. In 1994, he envisioned and founded the company Colon Fruit Company, S. A. de C.V. (COFRUTCO), an orange juice processing plant that works with over 2,000 associated farmers from which the company buys 80,000 tons of oranges a year. COFRUTCO supplies Sula with orange juice. This project was inspired by one of Mr. Kafie’s trips to Florida which was to create an orange juice from 100% Honduran grown oranges. The Bajo Aguán Valley plant was run by a Honduran technical staff and supported and advised by US experts. In search of continuous improvement, in 1997, Lacthosa became a pioneer in the marketing of products processed with UHT (Ultra High Temperature) technology, in partnership with the Swedish company Tetra-Pak. Dairy farmers faced a serious problem which was the unsteady demand from artisanal processors. This caused fluctuations in the purchase price of raw milk and in the worst cases there was a loss of product due to poor management. Aware of this situation in 1998, Schucry Kafie prompted the establishment of milk collection and cooling centers (CRELES). Currently, there are 88 centers run by these associations. Schucry Kafie has been a pioneer in strengthening the value chain in the dairy sector in order to secure the domestic market, which is why he founded La Fortuna, a dehydrator plant that makes powder milk using the local milk’s surplus production. 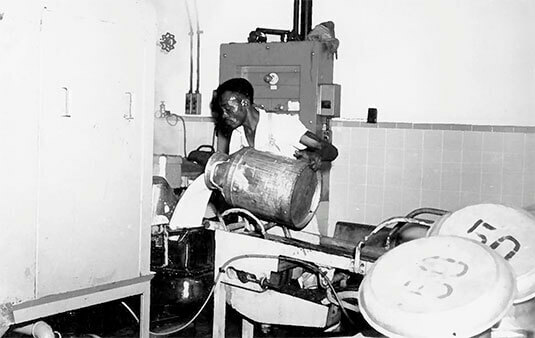 He was very sure that Lacthosa would become the dairy market leader which met the country’s basic food needs, processed milk and dairy products, and natural juices by trying to integrate marketing, production, management, and sales processes and trying to search for excellence and growth in quality and service awareness as its constant technological innovation and infrastructure. Thus Schucry Kafie continues to build his business career in favor of regional development, local innovation, fostering job creation and social responsibility. Luz y Fuerza de San Lorenzo S.A. de CV., “Lufussa” was founded in 1994 to promote economic and social development in Honduras.